Yesterday I mentioned that hypernovae (super-supernovae) are the result of the explosion of a star that’s about as massive as a star can be (about 150-200 solar masses). But how exactly do we know that this is an upper limit? The first clue comes from a derivation by Arthur Eddington. In 1916, Eddington demonstrated that there was a limit to how bright a stable star could be. The basic idea is that the atmosphere of a star is being gravitationally attracted by the mass of the star (giving it weight), and this weight is balanced by the pressure of the deeper layer of the star. For a star to be stable, the weight and pressure must be equal, so the star doesn’t collapse inward or push the atmosphere outward. We typically think of pressure as being due to gas and such, but light can also exert pressure on a material. We don’t notice light pressure in our daily lives because it is so small. Even in our Sun, the pressure on the atmosphere is relatively small, so the weight of our Sun’s atmosphere is mostly balanced by the pressure of the plasma in the layer underneath it. But if the Sun were brighter, the light it emits would push harder against the particles of the atmosphere. What Eddington showed is that there is a limit where the pressure of a star’s light on the atmosphere is large enough to balance the gravitational weight of the stellar atmosphere entirely, known as the Eddington luminosity limit. If the star were any brighter, the light of the star would push away the outer layers of the atmosphere, thus causing the star to lose mass. When Eddington first derived this limit, he found that the maximum luminosity (brightness) of a star was proportional to the mass of a star. This meant that more massive stars could be brighter than less massive stars, but it didn’t say anything about an upper limit on mass. Then in 1924, Eddington discovered a relationship between the mass of a star and its luminosity, specifically that the brightness of a star is roughly proportional to the mass cubed. This meant the brightness of a star increased with mass faster than the luminosity limit, so there must be an upper limit on a star’s mass. Stars with larger masses would be so bright that they would burn away their outer layers. With Eddington’s calculation, this limit is around 65 solar masses. Later, more detailed calculations put this limit at around 150 solar masses, which is generally considered an upper limit for stable stars. In 2007, a research team made a study of the Aches cluster, which is the densest known star cluster in our galaxy. Looking at the brightest stars in this cluster, they found no stars greater than about 120 solar masses. Using their observations to make a statistical extrapolation, they found that the upper limit for stars is likely 150 solar masses. But recently new evidence has questioned that limit. Theoretical work has shown that it is possible to have stable stars with a brightness greater than the Eddington luminosity limit. 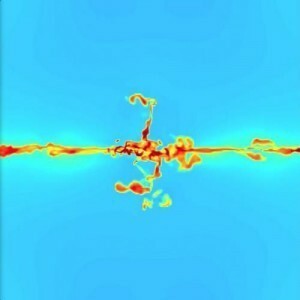 Effects such as turbulence within the atmosphere and photon bubbles, where light could pass through the stellar atmosphere more easily would allow super-luminous stars to remain stable. Then there are calculations from hypernova explosions that estimate the progenitor (the star that exploded) had a mass of about 200 solar masses. 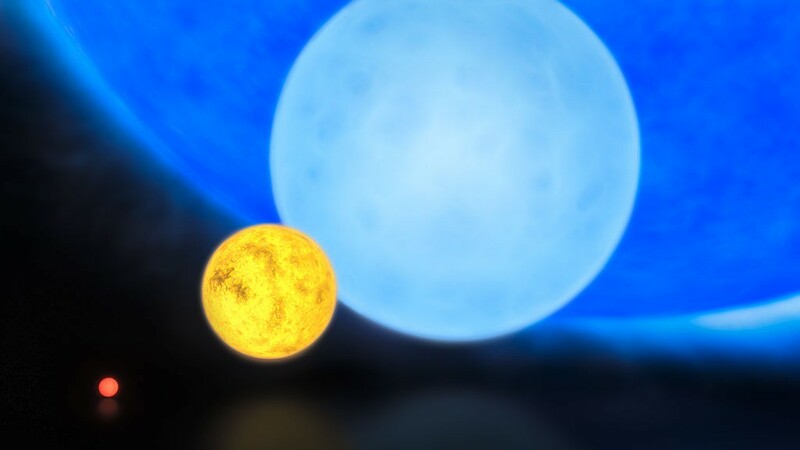 Finally, there is a star known as R136a1. Discovered in 2010 which is currently the most luminous known star, and has an estimated mass of about 265 solar masses. So while 150 solar masses is generally considered an upper limit, that limit seems to be more of a guideline. so what be limit how masive can be star to not colapse in BH in just seconds 500 1000mas of sun or more ?? I’m just speculating from my elbows here, but would it be possible that as a star grows up more and more, the pressure gets so high inside that the core collapses into a neutron star or perhaps even a black hole? Maybe like that article you posted some time ago about stars within stars. I’ll talk about it in tomorrow’s post.